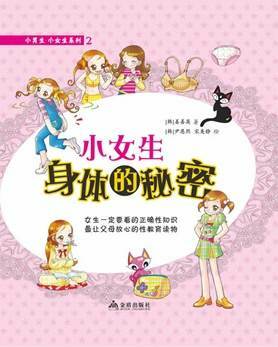 A Girl's Secret is originally written in Korean, and translated into Chinese. As parents, we know that the topic on the bird and the bees is important but many parents find it awkward to broach. Parents can use this book as a pre-amble to begin a heart-to-heart discussion with their daughter. This book start off explaining how a male and a female is different biologically, it then move on to discuss the bodily changes that a female will experience as she enters puberty . Finally it brings the reader to the topic of the birds and the bees. The whole book is written in a light-hearted way. We thought it'll be good if parents can take their conversation further, with a discussion on the appropriate behaviour, love, relationship, marriage, and the family values. We would recommend this book for children who are 10 years old and above.